The Costa Mesa City Council will hold the first of two regularly scheduled meetings before the November 4, 2014 General Election on Tuesday, October 7, 2014 beginning at 6:00 p.m. in Council Chambers at City Hall. You can read the agenda for that meeting HERE. There are several interesting items on the agenda, plus I expect there will be some folks speaking during Public Comments that will be demanding some answers. It should be another interesting evening, so let's just take it from the top. The Consent Calendar - items that are grouped together with the anticipation that they will be considered and voted upon in one vote with out discussion, contains some interesting stuff again. #0182840 - Costa Mesa Senior Center, $25,000.00 for the purchase of fixed assets coincident with the hostile takeover of the Senior Center from the Costa Mesa Senior Corporation Board. #0182842 - Daniel T. Joyce, $170.225.00, Settlement. 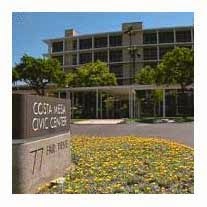 #0182846 - Costa Mesa Conference and Visitors Bureau, $242,876.47, BIA Receipts, July, 2014. #0182968 - US Postmaster, $10,000.00, Standard Mail Fee. It's interesting that we spent almost $180,000 on legal services again on this warrant. That old meter just keeps on spinning. Item #5, HERE, is the request to cancel the scheduled council meeting on November 4, 2014 - the date of the General Election. We certainly wouldn't want the city's business to interfere with post-election celebrations, now would we? That means two more meetings before the election - this one and the one on October 21st, before the election and then probably only one more, on November 18th, before a new City Council is seated. Public Hearing #1, HERE, is a request for consideration of extending the current moratorium regarding Hookah Parlors. I doubt there will be much opposition to this one, except from the same guys who always show up - lounge operators and potential operators. Public Hearing #2, HERE, should be the biggie on the agenda. This one is the so-called Group Home Ordinance, which has been sent up to the City Council by the Planning Commission for consideration. This ordinance changes several sections of the Municipal Code and is an attempt to exercise some degree of control over the proliferation of sober living facilities that are popping up all over our city since Newport Beach tightened its regulations. The agenda includes the 138-page Planning Commission staff report from the September 22nd meeting, HERE. Public Hearing #3, HERE, should also provide some interesting moments. This is the second amendment on the under-construction Buick/Cadillac dealership at the corner of Harbor Blvd. and Merrimac Street. This issue has seen some very contentious moments at previous meetings - including a very significant turnout of impacted neighbors. This one will be worth watching. 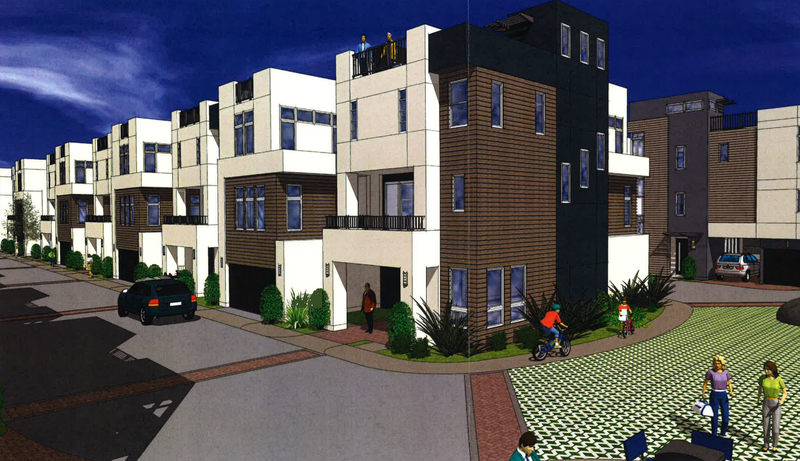 New Business #1, HERE, is a Screening Request for a 32-unit development at 1672 Placentia Avenue - another of those three-story plus rooftop patio developments that have been proliferating recently in our industrial and commercial sections of town. I have no idea how long this meeting will last. There is no Closed Session this time around, but one just never knows what kind of questions the council will get during Public Comments. I suspect there may be one or two about the major gaffe in the language for Measure P on the November ballot. As Dane Bora says, "There's always something happening in Costa Mesa". See you there. Just out of curiosity, what event did we spend almost $1K on beer and wine for CM Foundation? @ Geoff: I know this is off topic for this post, but I wanted to comment on Barry Friedland (and his side-kick, Sam??) of CM Brief and his footage of interviews at the Eastside Candidates Forum. Talk about slanted, biased, gotcha questions! This should be fair warning to anyone who is not in lock step w/ Richeimer not to be "interviewed" (aka: set up) by CM Brief! Apparently Barry attended the Maury Povich/Jerry Springer school of broadcasting! Coffee, Pretty sure the CM foundation holds the Concerts in the Park. I went to 3 of the concerts and drank $100 of beer myself. Barry's just another little bootlicker. Best to ignore him like a fly or ant. Maybe someone will bring up these issues. Was Gary Monahan the deciding vote to close the Empire Ballroom in 1996? The article below mentions the other council members and how they voted but not Monahan. Maybe he didn't show up for this vote. But even not showing up if that is the case it makes him the deciding vote or responsible for the outcome. So he seems to be accusing Jay and Katrina of trying to do what he is also responsible for. From the City webpage. "Gary Monahan was first elected to the Costa Mesa City Council in 1994. He served as Mayor Pro-Tem from 1996 to 1998"
The Righeimer supporters are asking why do unions get a pass on the campaign donation issue? Where council members can't vote on developers issues if they donated $249 to their campaigns. If you include developers then include everyone just out of fairness they say. But of course their fairness doctrine suddenly leaves when it's about COIN. All should be included there too then under their fairness argument. Just a side note. 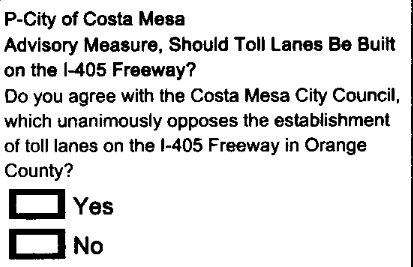 The OC register endorsed Measure O. What is funny is that they called the 2012 charter flawed. Yet if one checks they supported the 2012 charter. This means they admit they supported a flawed charter. The OC Register credibility on this is ZERO! Breaking bad, don't worry, the Charter will go down just like the Register is doing. I'm going to put this out there again so everyone can read it. If you want to get rid of Righeimer then we need two seats. That is a lot of votes. We cannot have someone split them or we will lose. Please vote for Foley and Humphrey, as they have the experience we need. Bunyan, while a good guy, has no experience and hasn't been around town even. A vote for Bunyan, who will split vote, IS A VOTE FOR RIGHEIMER. These fees paid to Jones & Mayer are a travesty! Eastside Neighbors Forum A Success! Kaiser School Field Lights - Yes Or No?